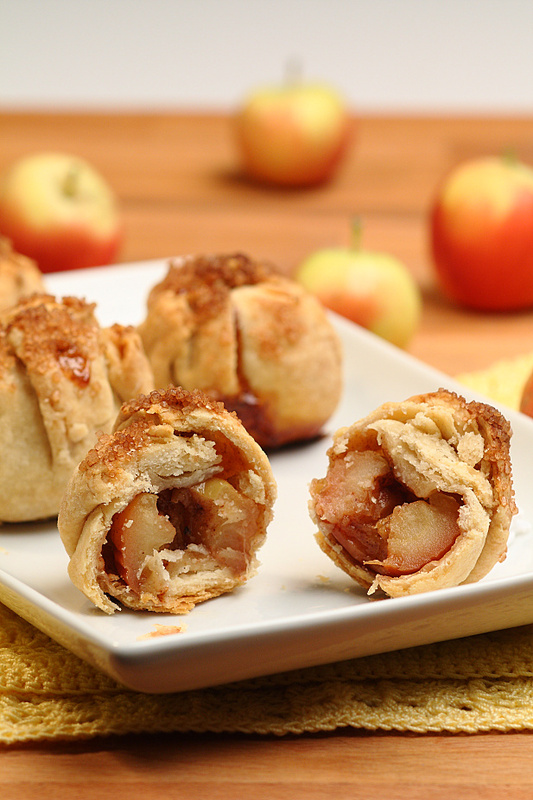 There are few things as American as apple pie. It’s an old saying but a good one because pie really is the most American of American desserts. Although pie originated in Greece and was popular throughout Europe before the colonization of North America, the modern fruit-based pie we enjoy today is truly an American phenomenon. There’s something about the blend of moist and flaky textures and sweet gooey filling with savory crust makes me feel warm, cozy, satisfied and just down-right homey. Pie is a must for Thanksgiving dinner and is perhaps one of my favorite desserts. I usually make at least 3 pies for our Thanksgiving feast. If you haven’t heard yet, I’m doing a month-long extravaganza of Thanksgiving inspired recipes to help you get in the mood. 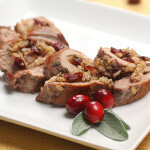 That’s right, we are celebrating Thanksgiving all month with fabulous recipes to grace your table! I hate that Thanksgiving is so oft overlooked in favor of Christmas. I mean c’mon! This is the most major food holiday of the year and it deserves to have its own star on the Hollywood walk of holiday fame. If it was up to my husband we’d celebrate Thanksgiving every month week instead of just once a year. And with food like turkey, cranberries and mashed potatoes can you really blame him? 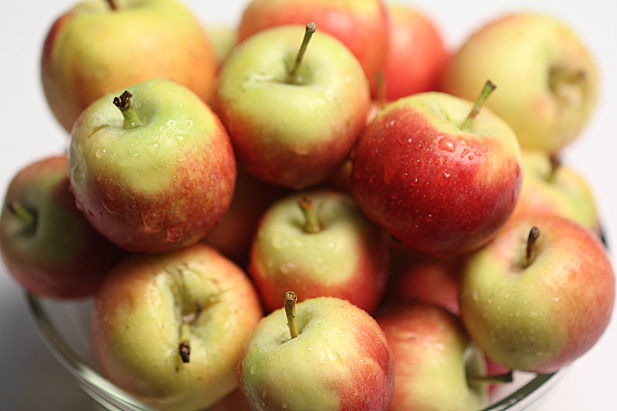 I received these adorable Crimson Gold apples from Melissa’s Produce at our most recent San Diego blogger gathering. Melissa’s has the most wonderful produce and they were kind enough to provide us with plenty of it to play with! After one bite, I knew these little buggers needed to live in a pie. 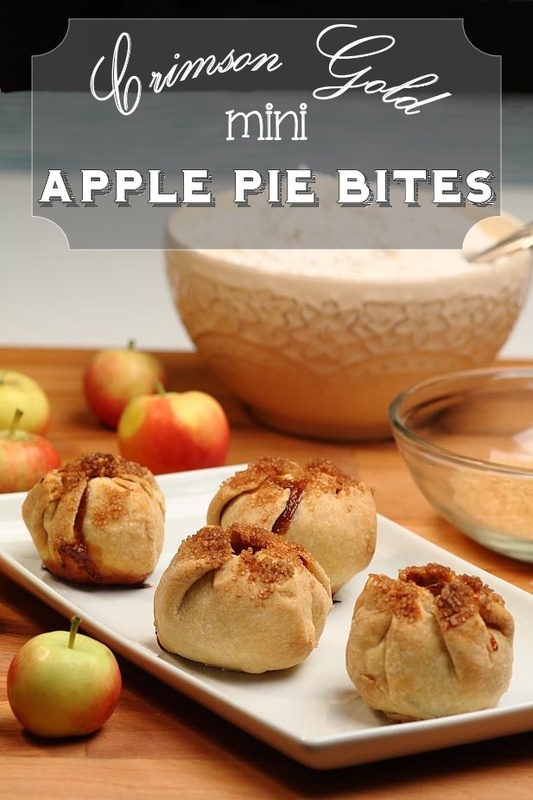 They have a crisp firmness and moderately sweet taste that is simply wonderful when baked. But the best part about them is their size. 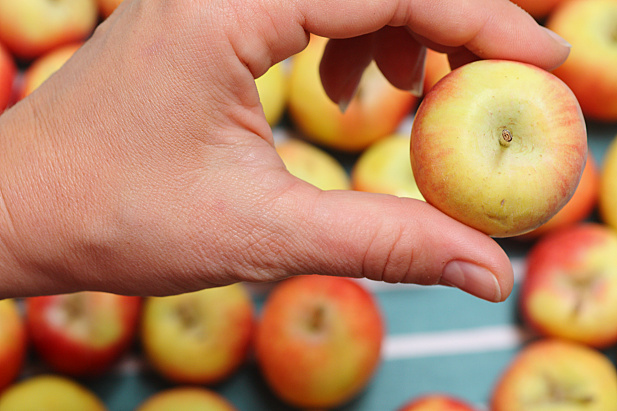 These charming little apples are about the size of a golf ball and just so darned cute! I didn’t want to chop them all up and lose that cuteness factor because, well, admit it, we all love things that come in mini versions – teacup doggies, adorable little baby booties, tiny cupcakes, the list goes on. 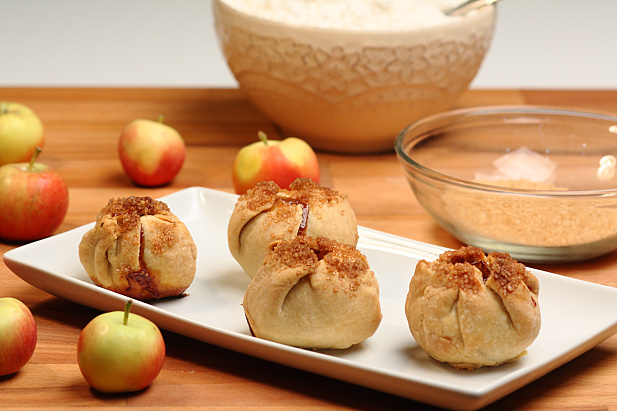 It seems everyone has gone mad over one-bite desserts so I thought I’d jump on that bandwagon and create a miniature pie around each loveable little apple. 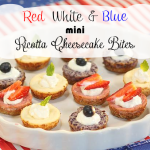 Similar to a dumpling and smaller than a cupcake, you can eat one of these petite bundles in two bites… or maybe one bite if no one is looking. 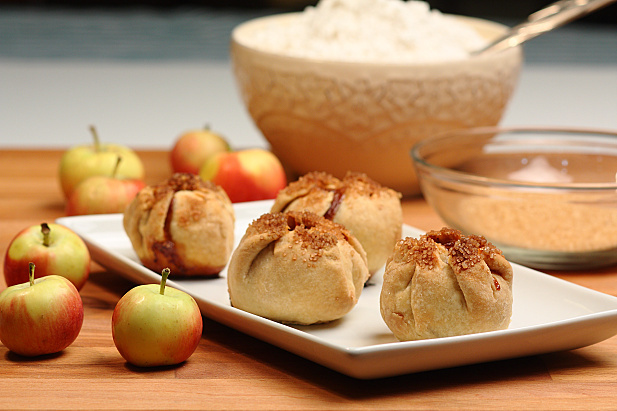 Each miniature delicacy packs a full punch of apple pie flavor that will settle even the most persistent of pie cravings. Did I mention they are mini? Make the dough. Stir together the flour and salt. With a pastry blender or two knives, cut in the shortening until mixtures resembles sand. Slowly add the water in 2 Tablespoon increments and pull dough together with hands just until it forms a ball. Wrap dough in plastic wrap and refrigerate for at least 30 minutes. Preheat oven to 400 degrees. 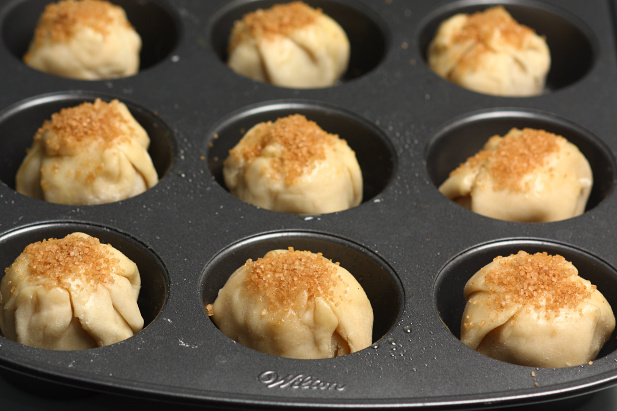 Spray a muffin tin with oil mister or cooking spray. Cut the dough into 12 even pieces. On a floured surface and with a rolling pin, roll each dough ball to about 1/8 inch thickness and 5 inches in diameter. For the filling, stir together the brown sugar, cinnamon and nutmeg in a small bowl. 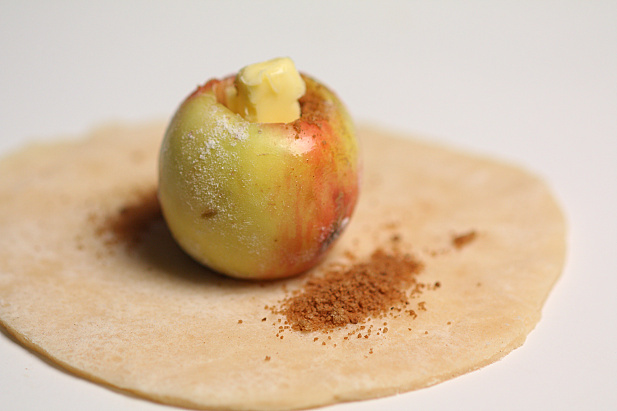 Place 1 apple in the center of one of the dough circles and fill the middle of the apple with the brown sugar mixture. Top each with ½ teaspoon butter. Fold up the sides of the dough and pinch to close, removing any excess. It’s alright if the dough is not airtight. 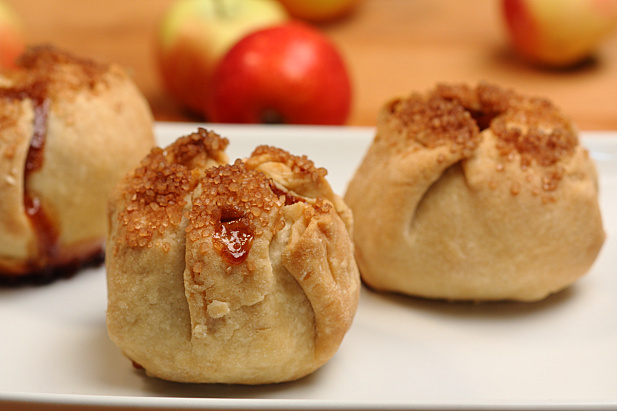 Place the mini pie, pinched side up in the muffin tin and repeat with the remaining 11 pies. Brush each pie with the melted butter and sprinkle with the turbunado sugar. Bake 28-35 minutes or until crust begins to brown and filling bubbles. 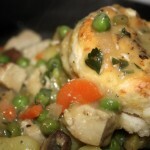 Remove from oven and let cool before eating. These look AMAZING, B! I am drooling on my keyboard as I type this. I’m gonna give these a try! WOW that is just fabulous. These are absolutely adorable. Brilliant! How long do these last? What is the best way to store them? Thanks! 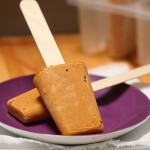 They can be left at room temperature for up to two days. They will keep an additional 2-3 days in the refrigerator loosely covered with plastic or foil.